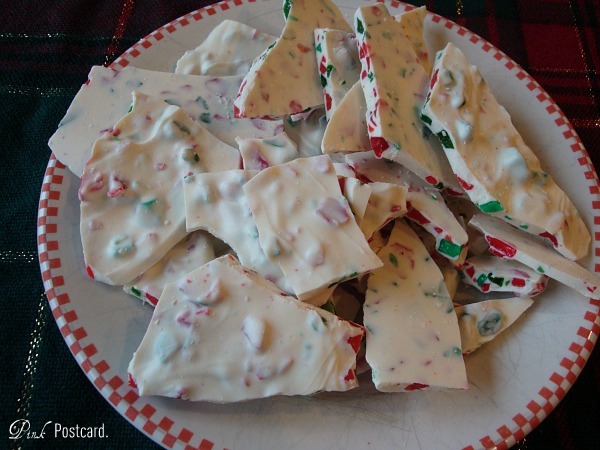 This is our favorite Christmas candy, and it is so simple to make. It's pretty, has all the colors of Christmas, and so delicious. Especially when you put it in the fridge for a couple minutes before you eat it. I realize that the main ingredient might be kinda hard to find, but that's why I included a pic of the packaging. 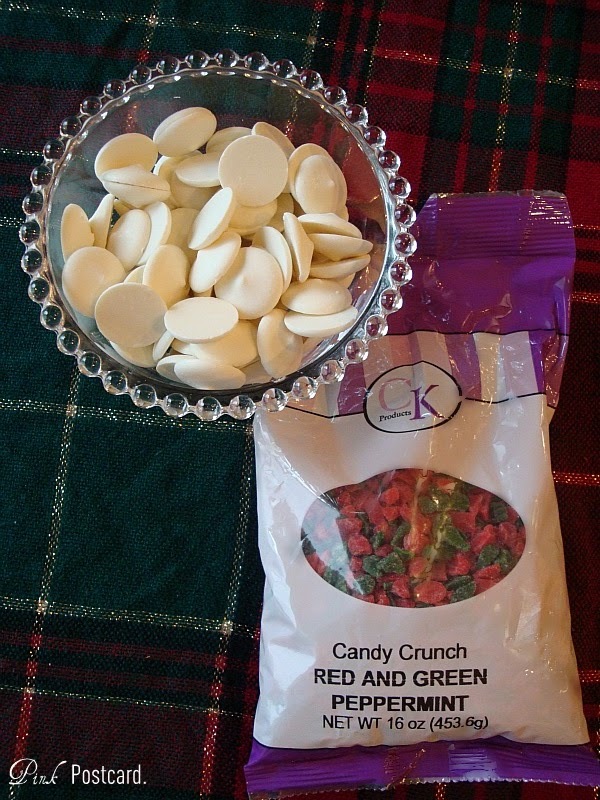 I prefer it to peppermint candy bits because the candy I use stays nice and crispy, not chewy. In a double boiler, melt the melty's until smooth. Remove from heat, and pour in the peppermint chips. I like to add enough in so that it's pretty colorful and lots of bits in every bite. Pour onto a cookie sheet and smooth out flat with a spatula. Pop the tray into the freezer and let harden for 5-10 minutes. Take tray out and have fun smashing up the pieces! Usually this breaks up pretty well by just picking up the cookie sheet a little and dropping it on the counter. 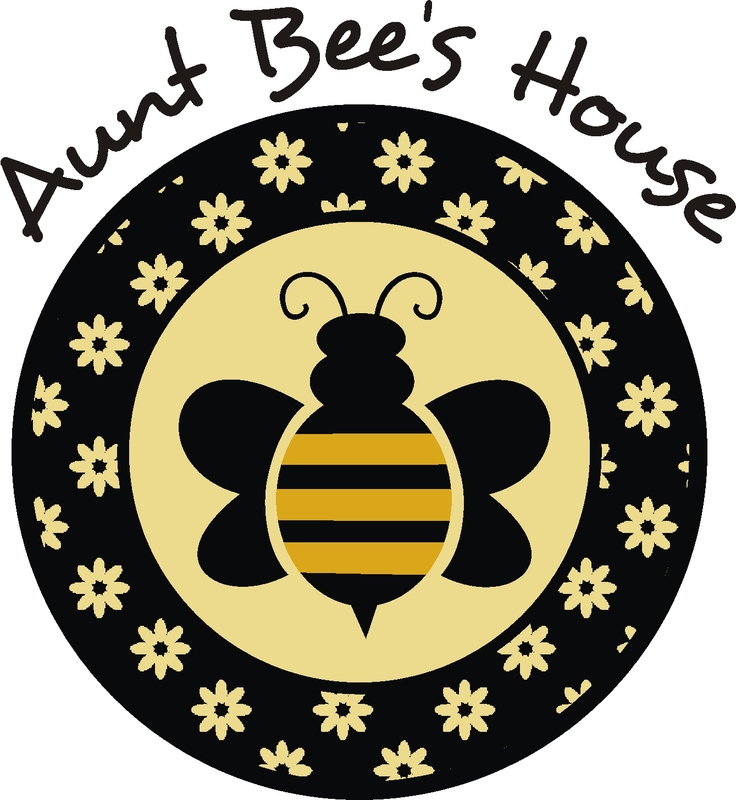 Yummy for parties or to make as holiday gifts! I get our peppermint chips locally from Confectionately Yours, a local bakery supply shop. What's your favorite Christmas or holiday candy?